The Criminal Law Guidebook: New South Wales, Victoria and South Australia second edition is your guide to the essentials of criminal law. It provides a clear and comprehensive outline of the foundation topics in criminal law in an easy-to-read, student-friendly format. Learn how to link the key concepts from your lectures, textbooks and tutorials to get the most from your study, improve your knowledge of law and develop legal problem-solving skills. 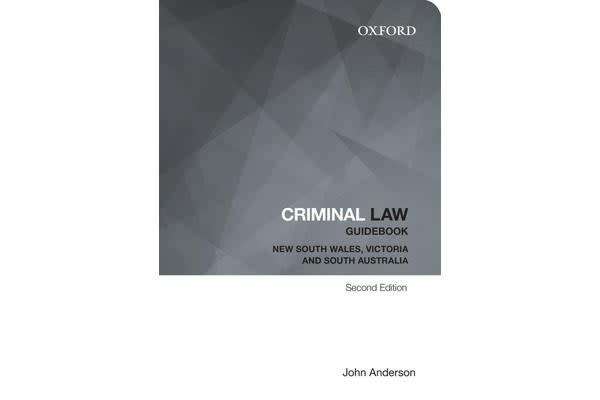 This guidebook will help you navigate through the fundamental points of criminal law in New South Wales, Victoria and South Australia using:Clear and concise explanations of what you need to knowCases and statutes to rememberAssessment preparation sectionsUp-to-date cases and legislation.